Difference between DATEPART and DATENAME in SQL is one of the most commonly asked interview question. 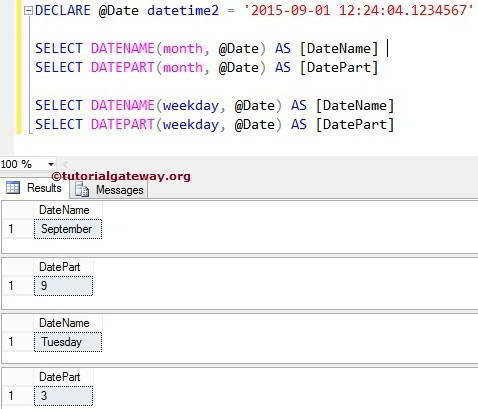 Although, The syntax of the SQL DATEPART and SQL DATENAME in same but they differ in their return value. DATEPART function return integer value and DATENAME function return String data.